The American Woolen Company in June of 1901 purchased the Reardon Estate on the south side of Parker Street. Sixty houses were built on this property to house workers for the mill. The view shown is Harrison Street. Other property was later purchased from the Mahoney Family off of Waltham Street with a total of 160 tenements erected. The woolen company divested all of its housing units in 1934. 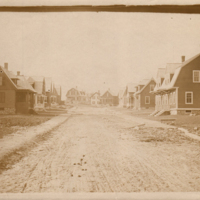 “Beginning of New Village - 1902,” Maynard Historical Society Archives, accessed April 23, 2019, http://collection.maynardhistory.org/items/show/3102. 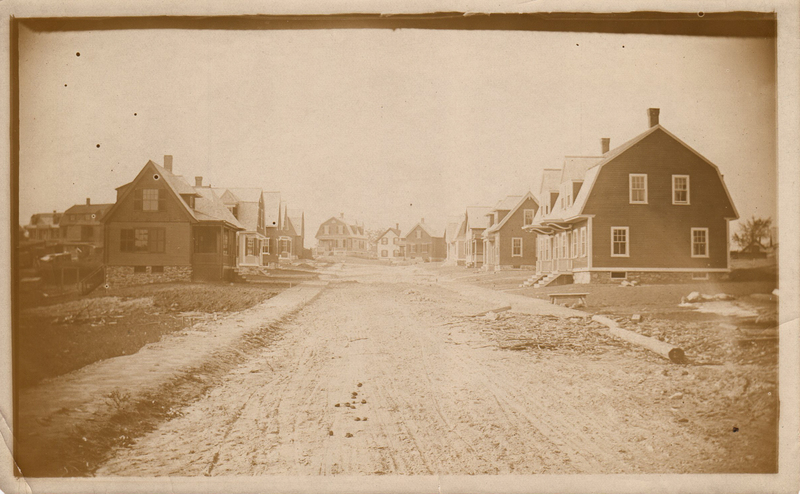 This site is a ongoing project of the Maynard Historical Society funded by the Society and, in part, from a Community Preservation Act (CPA) grant from the Town of Maynard, Massachusetts. We are grateful for the support of the town's citizens in preserving Maynard's history. We are also grateful to the Omeka project for the software that helps us make our collection available on the web. Contact the Maynard Historical Society for Copyright and usage information as it varies from item to item.